One third of smartphone owners will use their devices for work purposes during Christmas and 10% will even do so at the Christmas dinner table. Not only will Christmas cost a fortune in mobile upgrades for the kids, there will also be no seperation from work unless smartphones are turned off. According to research carried out by GoodMobilePhones.co.uk 37% of the 1,287 smartphone users interviewed said they would use their device for work purposes during Christmas. The research shows how smartphones mean users can never truly separate their working and private lives. Mark Owen, chairman of GoodMobilePhones.co.uk, advices smartphone owners to limit their work contact to avoid tension. "Christmas is a very family-orientated time of the year, so it is obvious why, for many, working during the holidays can be very frustrating. "At GoodMobilePhones.co.uk we recommend, to avoid tension, that people should allocate half an hour, when possible, to use their phone for work purposes, so that it doesn't disrupt Christmas too much," he said. 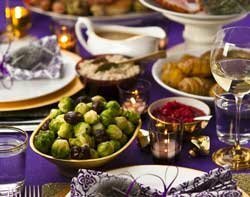 "Answering calls or texts at the Christmas table seems a little extreme, so if it can be avoided we'd certainly advise against it." Of those using their phones during the Christmas period, more than one in five admitted that working on Christmas Day had "caused trouble" in the past.